The cards have a new look but, most importantly, they have unique numbers to replace the Social Security numbers previously used on the cards. 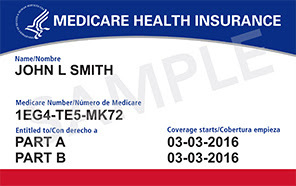 Medicare created the new cards to reduce identity theft and fraud. Your Medicare coverage will NOT be interrupted or stopped because your new card is being mailed to you. If you receive a call or email that seems suspicious, do not share any information. Hang up and call Statewide Health Insurance Benefits Advisors (SHIBA) at 1-800-562-6900 to report the incident.